It is that time of year again – a time when the days are shorter, the evenings are cool and our enrollments are open! Annual Enrollment for 2013 runs from Oct. 31 – Nov. 15 this year. You can access the 2013 Cafeteria Plan Overview and the 2013 Café Plan enrollment instructions here. Please read them carefully to help ensure that do not miss out on the options that are best for you and yours. One very important component to the Cafe Plan enrollment process to remember is those of you who are currently participating in the 2012 Flexible Spending Accounts (FSA) must re-enroll if you wish to participate in an FSA for 2013. Flexible spending accounts WILL NOT carry over. The supplemental policies in which you enrolled for 2012 will carry over into 2013 at the same premium you are paying now unless you complete an Aflac policy termination form and return it to the Conference Service Center prior to Jan. 1 2013. You can fax, mail or e-mail those forms to the attention of Shawn-Marie Riley, Conference Benefits Administrator. Click here to access the 2013 Aflac Cafeteria Plan Enrollment form. You can reach Shawn-Marie at shawn-marie@ctcumc.org, (817) 877-5222 or (800) 460-8622, or fax (817) 338-4541 (please call to verify receipt of time-sensitive materials if you fax). After Jan. 1, 2013, you will not be able to make any policy cancellations without a change in family status. Please note: If you only have supplemental policies (no flexible spending accounts) and you do not wish to make any changes for 2013 (upgrades or add additional policies), you do not have to return an enrollment form. Again, (and we are sorry to repeat, but we don’t want you to miss out on an opportunity) anyone participating in the 2012 Flexible Spending Accounts (FSA) must re-enroll by submitting and enrollment form if they wish to participate in an FSA for 2013. Flexible spending accounts WILL NOT carry over. Please Note: Due to IRS regulations, the maximum medical FSA was reduced from $5,000 to $2,500 for 2013. Please visit the ctcumc.org Café Plan webpage for plan and rate information, enrollment forms and much more – from flexible spending accounts to dental to disability to much more, you’ll find it on the Cafeteria Plan page. 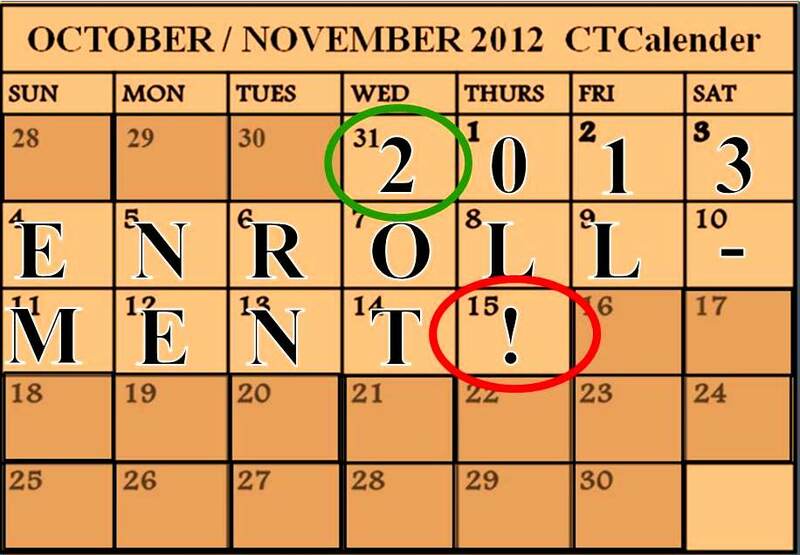 Please refer to your copy of your 2012 enrollment form for ease in enrollment for 2013. You can access the Annual Enrollment edition of the Benefits Bulletin here. This edition contains helpful information regarding the HealthFlex and Aflac annual enrollement process for 2013. For your convenience, if you are enrolled in the Conference health plan and need to make dependent changes, you can access a 2013 HealthFlex Enrollment Change Form via this link. Also, for those enrolled in HealthFlex, the overview of the HealthFlex PPO B500/RX P1 plan is available here. While the annual enrollment period runs through Nov. 15, you may return your forms to the Conference Service Center at any time beginning Wednesday, Oct. 31 – and you are highly encouraged to complete and return them as early as possible. No forms can be accepted after the Nov. 15 deadline. If you have any questions regarding the 2013 Annual Enrollment process, please don’t hesitate to contact Shawn-Marie.